1) Try to match the color of the bricks, or find a close enough color that does not produce too much of a contrast. 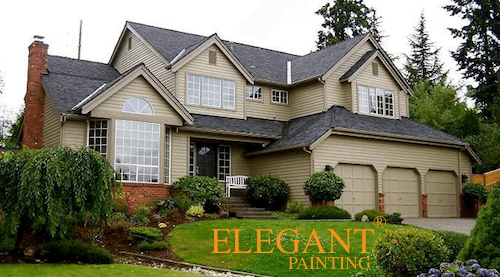 By choosing colors that somewhat match your bricks, you are avoiding the risk of offending anyone’s taste. Having a light gray right next to red bricks might be the most pleasing configuration to me, but to the next person, it might appear unusual and offend their sense of color and taste. My recommendation is unless your home is about to go on the market, and within the bounds of your HOA policies, choose what makes you happy and enjoy it! Brick as over-sized belly-band or base for the exterior. Here we used to bricks as a transition between siding color and the front door color. 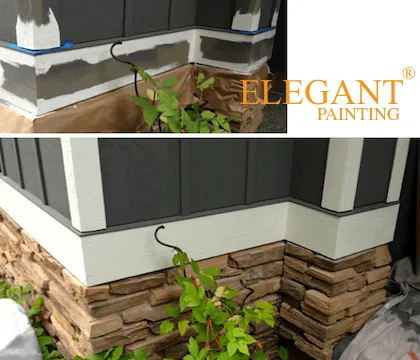 the door is the darkest deepest color on the home, then it transitions into a less dramatic reddish color of the bricks, and then we have a very pleasant Sherin Williams ® brown, which also has a few drops of red to give it a unique flavor. 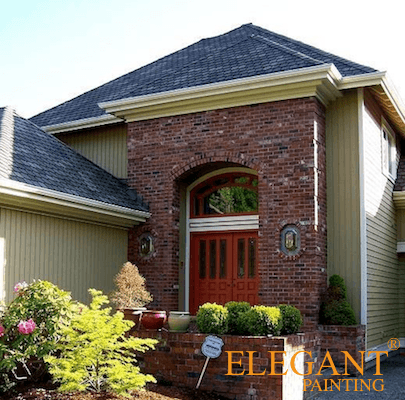 2) Do your exterior colors need to match the brick? This is an entirely different, but equally valid perception. The bricks are meant to be different. They are supposed to pop out. They act as focal points and in some homes, they are virtually a bellyband or baseboards for the exterior. 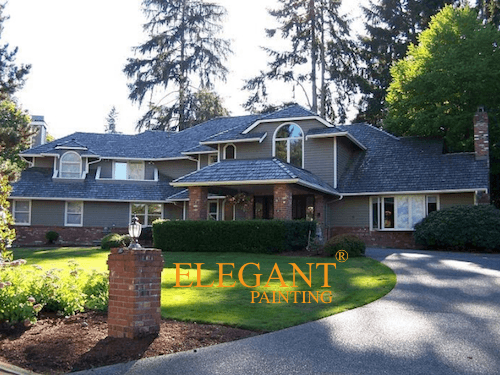 Posted in Do it Yourself blog, Procedures and tagged 98006 bellevue, 98008 bellevue WA, 98039 bellevue wa, benjamin moore match red brick, benjamin moore what colour matches a red brick exterior, best paint color for red brick house, best paint color with brick, best siding color with dark red brick, brick, colors that go with red brick, exterior coordinating color for red brick, exterior paint colors that go with brick, exterior paint colors that go with red brick, exterior paint colors with brick, exterior paint colors with red brick, good color to go with used rick, house with grey and red brick ecterior, match red brick exterior with what colour, outside colors that match with bricks, paint color match with red brick, paint colors that go with brick 3, painters near bellevue, red brick, red brick house color schemes, red bricks, stone, what color goes well with reddish bricks.